FALMOUTH, MA. - It took Steve McCarthy until the second half of that season to really prove he belonged. He proved it to his team - and to himself. This was summer 1986 and the Brown University hurler was playing for the Falmouth Commodores in the summer Cape Cod League. He'd walked on to the club, making it as a left-handed pitcher after the expected lefty ultimately couldn't make it. McCarthy pitched OK pitching sparingly the first half of that summer. Then came that second half. "The second half of the year," McCarthy recalled, "it all clicked into place for me. I was getting potential No. 1 draft picks out with regularity. "That," McCarthy realized, "was when I realized it didn't matter - I was playing in the Ivy League, but I could have been playing at Stanford or Arizona State or Texas and I could have been holding my own and getting guys out." He also could maybe do the same thing in the pros. "That confidence really was what - I remember going back my junior year and thinking 'OK, this is going to happen,'" McCarthy said. McCarthy returned to Brown that fall for that junior season and it did happen. He pitched well enough for the Reds to take him in the 11th round of the 1987 draft. He went on to a career that spanned five seasons, but a career that was slowed by injury. He never made the majors. He has since gone on to a successful career outside of baseball, running a small computer hardware consulting business. He's also married and has two boys he now coaches. McCarthy spoke with The Greatest 21 Days recently on Cape Cod, a few miles from that field in Falmouth where he really got his start. He and his family were on vacation, as was The Greatest 21 Days. He took about an hour out of that vacation to tell the story of his career. McCarthy's involvement in the game traces back to his roots growing up in Milton, Mass., near Boston. His father William introduced it to him at a young age and McCarthy took to it quickly. Baseball, McCarthy said, served as something he and his father could do together, a place where his father could focus his sporting energies. Both McCarthy's older brother Dennis and his younger brother Sean had forms of cerebral palsy and other difficulties. "He basically taught me everything I needed to know," McCarthy said. McCarthy recalled not being that good at the game at first. He was tall for his age early on. The skills came later. Both of McCarthy's boys, Ford, 8, and Grayson, 7, he said, frequently ask McCarthy to compare where they are to where he was at their age. Are they better? "I'm like 'Yes, because I was so tall,'" McCarthy said. "My coordination didn't kick in until I was 11. And then I kind of pole vaulted over everybody and from the middle of my 11-year-old year through Little League it kind of took off for me." Soon, he was leading in both pitching and hitting. His teams twice won town championships. McCarthy also played other sports, including football and hockey. He was a quarterback in high school. He even played a year of hockey at Brown. But baseball was the sport he excelled in the most and the one he really wanted to play. McCarthy's father saw the potential, pushing McCarthy to play with older kids, McCarthy recalled. The father would take his son after his Babe Ruth games over to Boston Park League games. McCarthy would sometimes play there, too. 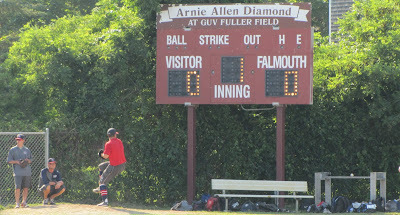 The Boston Park League is the oldest amateur league in the country, often seeing players in their 20s. "He would bring me to those games at night and I would just sit at the end of the bench and maybe they'd let me get an at bat or I'd come in and maybe pitch an inning," McCarthy recalled. 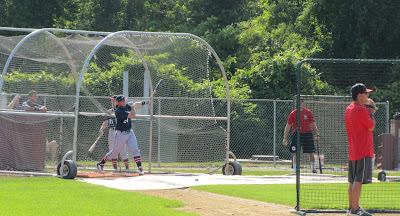 "It was a little scary," McCarthy recalled, "because you're blowing people away at 15, who are your peers, then you're going into the Boston Park League and you're facing guys 22 years old when your 15 and he's hitting a bullet right back over your head." The experience, McCarthy recalled, taught him an important early lesson to move the ball around. "No matter how hard you throw," McCarthy remembered learning, "if you don't move the ball around, you don't keep it down, you don't hit your spots, people are going to be able to rip you." 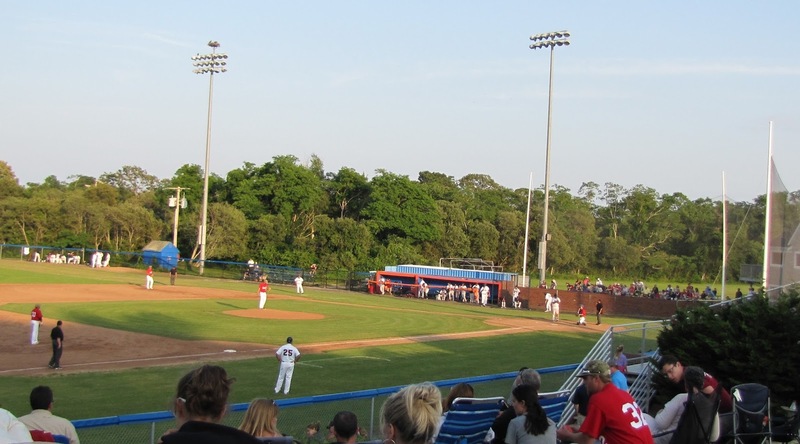 McCarthy played his high school ball at Milton Academy in Milton. He played well enough there to get some looks from pro scouts. He recalled the Red Sox and Cubs having some interest. But it was clear that McCarthy was going to Brown and not turning pro. Also in high school, McCarthy got the chance to show what he could do at an event outside Boston called the Brockton Invitational. He recalled legendary scout Lennie Merullo helped get him in and helped get him playing time, something McCarthy said he appreciated. McCarthy recalled forgetting his early lessons about ball movement at times. His freshman year at Brown, he said, was one of those occasions. He thought he would throw the ball past people and he got lit up. 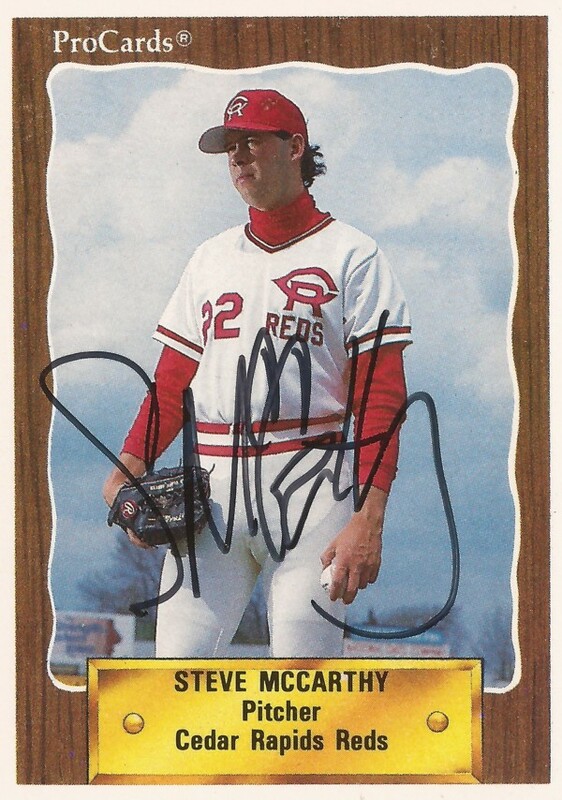 "I was really lucky because I had a great college coach who I think was really instrumental in the fact that I was able to continue to play baseball and be a professional," McCarthy said. That coach at Brown was Dave Stenhouse. Stenhouse, McCarthy recalled, worked to iron out McCarthy's mechanics and get his motion so it was repeatable. McCarthy's first look at the Cape Cod League came after his freshman year at Brown, in the summer of 1985. 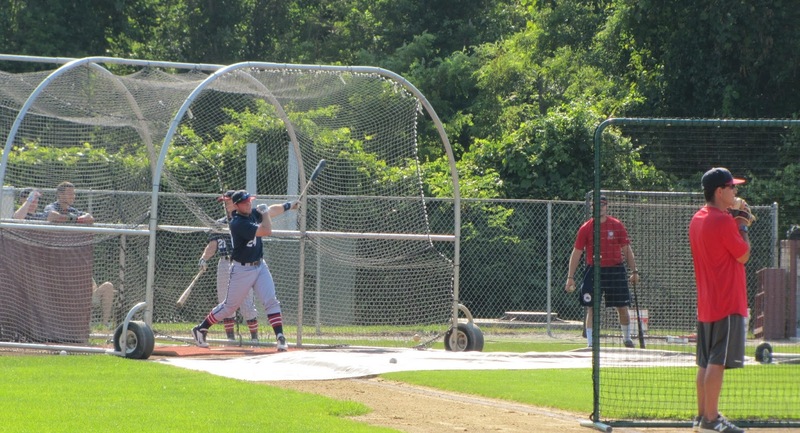 He was a late addition to the Wareham Gatemen staff after another pitcher had to return home for a family emergency. A roundabout connection to the Wareham general manager led to McCarthy being called for the final two or three weeks. His playing time was limited, but he got an introduction to the summer wood bat league that has helped launch many careers.